Shangai: China and Mongolia should begin research into a free trade agreement and speed up the launch of a cross-border cooperation zone in a bid to make use of the two countries complimentary advantages, Chinese Premier Li Keqiang said Monday. Mongolia aims to become a "transit corridor" to facilitate trade, as well as oil and gas deliveries, between Russia and China, and has sought funding for transportation projects from the China-backed Asian Infrastructure Investment Bank. 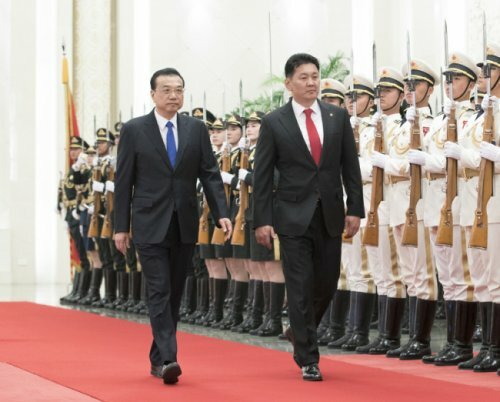 But some nationalist politicians in Mongolia remain suspicious of Beijing’s intentions, and have expressed concern that China’s growing economic might could further enhance its political dominance in the region.